The majority of our customers use psychometric testing for recruitment purposes. They use these tests to understand more about their candidate’s way of behaving on the job. While this is one of the best ways of using psychometric testing, there are many other purposes. Psychometric testing can provide individuals, managers and organisations with useful information at all points of the talent management cycle. 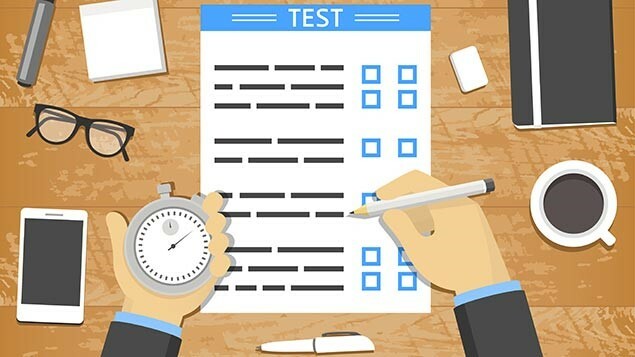 Psychometric tests can provide a valid and reliable way of understanding your own preferences and how these “match” your current role and work environment. Example: You have just completed psychometric testing as part of the recruitment process for your current role. You are entitled to receive feedback on your results and it is free! Psychometric tests can allow managers to understand their new employee’s preferences at work. Psychometric tests ensure learning and development programs are tailored to each employee and are going to have maximum return for the person and the organisation. Example: An accountant receives a below average result on a numerical reasoning test as part of the recruitment process. To improve this ability, the accountant is enrolled into a financial management course for business. Psychometric testing at the beginning of any coaching program is a must! Increasing the self-awareness of the person and then having targeted discussions and actions from this ensure the coaching program is value for money. Example: A coachee has profiled with a low preference to influence others. The subsequent session with the coach will focus on strategies and practices on how to effectively influence others. In situations where roles and requirements are clearly defined, psychometric tests can be used to identify a current employee’s future potential in the role. An organisation can get objective information on how effective someone in a technical role (engineer, lawyer, and electrician) is likely to be in a team leader or supervisory role, in terms of leading and relating to others, strategic planning and managing pressure. • Don’t use psychometric testing in isolation. At a minimum, this information should be used in conjunction with a conversation between the individual and their manager. • Ensure all parties involved in the use of psychometric testing are aware of what is required of them and how the information is going to be used. • While it may be the same psychometric test being used for many purposes, how it is interpreted and used is very different. • Ensure you have someone accredited to use the psychometric testing, involved in the interpretation of the information for both the individual and their manager. • If your organisation is new to using psychometric tests for any of the above purposes, we recommend you first trial on a small pilot group of advocates. That way, you can identify any challenges or barriers and ways to overcome them, before rolling out through the whole organisation. If you would like to know more information on how you can maximise your organisations use of psychometric testing, please click to get in touch with our consultants. Does Safety Add Value To Recruitment & Selection?